Monarchs made the first of their two short-lived sojourns to the west of Scotland after the loss of Old Meadowbank, making Albion Rovers' Cliftonhill Stadium their home in 1968. It was a banked track in a stadium that was no more ramshackle than Meadowbank had been, though being so far from Edinburgh it was doubtful that it could last. Certainly crowds seemed OK in the first season but they fell a bit in 1969, prompting Ian Hoskins to sell up with the licence going to Wembley. We went seven seasons without a track before arriving at Powderhall. 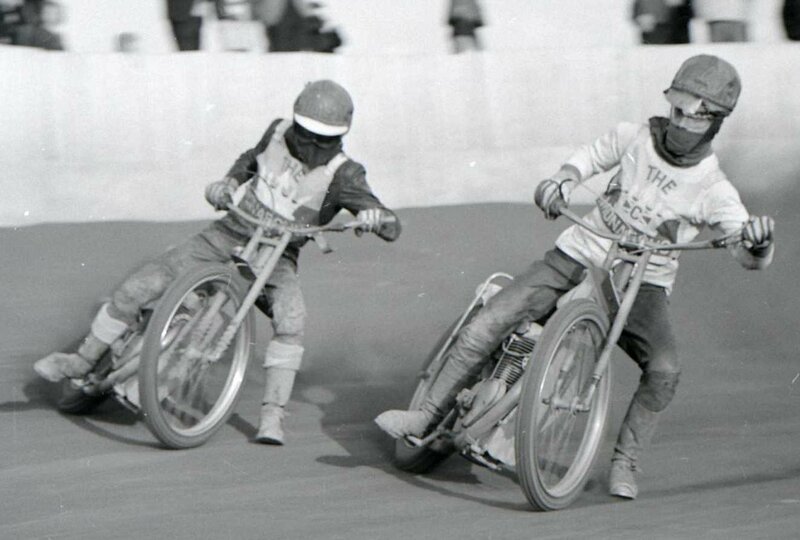 The photo shows 1968 teamsters Bert Harkins and Bernie Persson, Bert sporting an old-style race jacket.